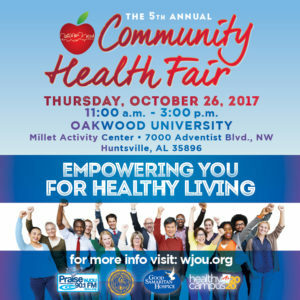 It’s time once again for the 90.1FM WJOU… Good Samaritan Hospice …Oakwood University’s Health Campus 20/20 Fifth Annual Community Health Fair… Thursday October 26, from 11am – 3pm at the Millet Activity Center on the campus of Oakwood University. That means it is also time for you to join us a vendor and share your product or services to hundreds who will be attending the event. So…now is the time to sign up early to secure your space. For vendor registration or for more information call 256-726-7420.. that’s 256-726- 7420 or visit our website at wjou.org. 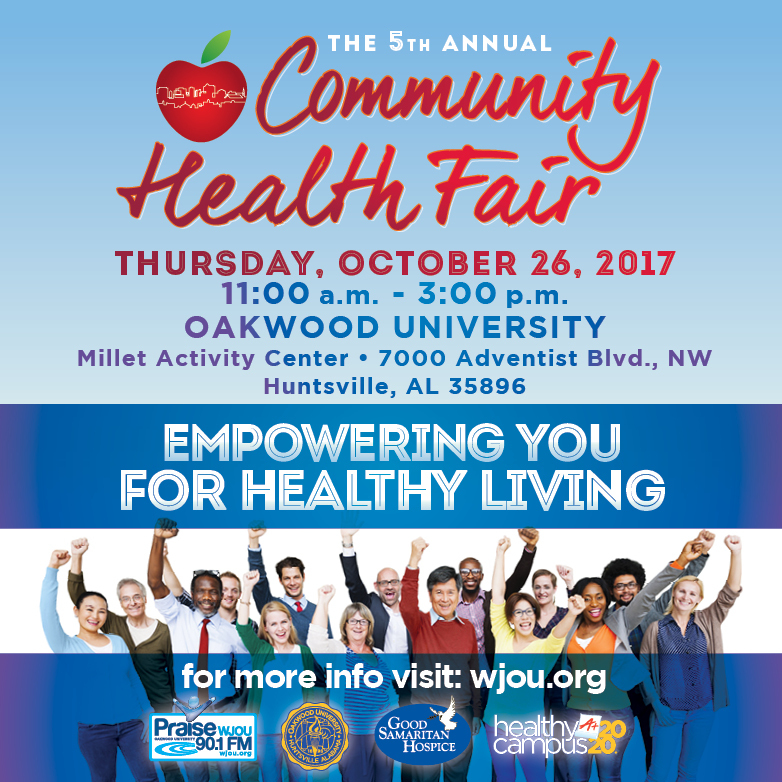 Remember…proceeds from the health fair provide scholarships to students at Oakwood University. 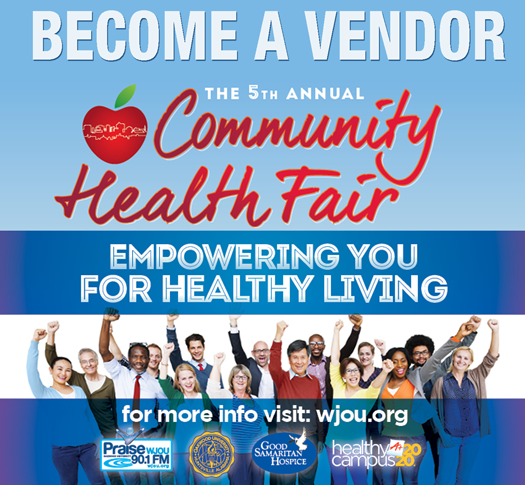 The fifth annual WJOU… Good Samaritan Hospice … Oakwood University’s Health Campus 202/20 community health fair…empowering you for healthy living.